This technique is a bit more advanced and it is not mandatory at all. 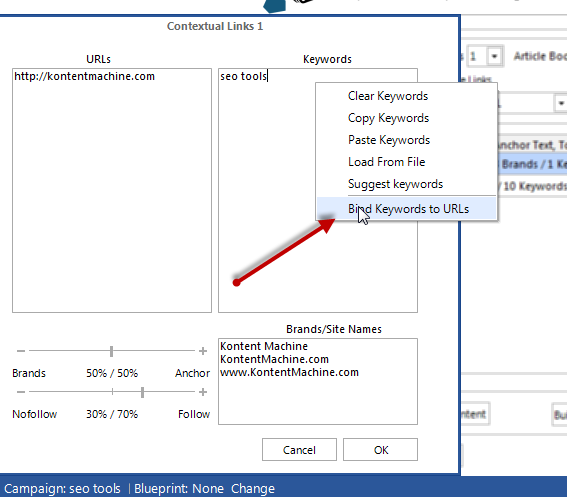 However, there will be times when in one campaign you would want some keywords to point to specific URLs. 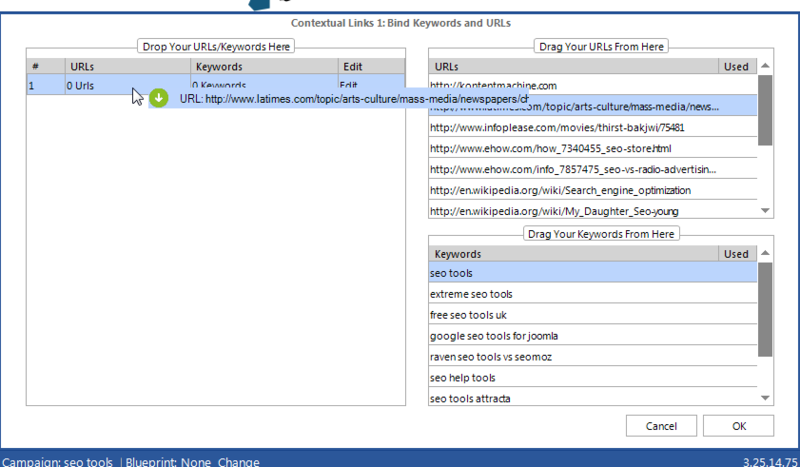 Important: If you bind keywords to URLs you MUST do that with all of the available keywords and URLs. The ones that you have not linked together will be discarded from the campaign. 2. In the next window pair keywords and URLs by just dragging and dropping them from the right to the left.